Archist Series | Famous work transformed into architecture by Federico Babina. 3d Snowfall | 3d visualization of New York snowfall. 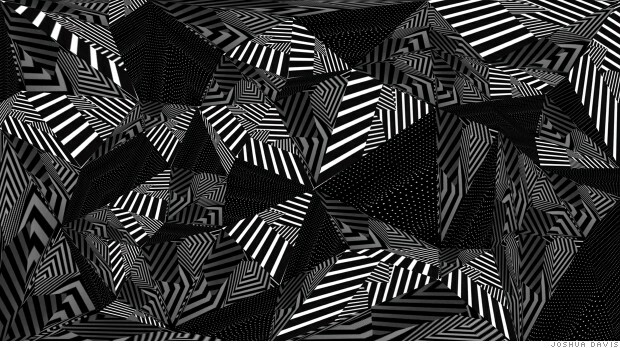 The Russian Mountain Climber | Generative art by Joshua Davis. Golden Spiral | Interactive golden spiral visualizations. Big Pizza | 74,476 reasons you should always get the bigger pizza. UX Archive | The iPhone app archive. Design Sprint | Speed design with Illustrator. HUVr | Hoverboard's are coming soon (hoax). Adventures In Economics | 60-second video explainers. Fortunato Depero | Collection of work by the Futurist artist. Mumbai Airport Terminal | SOM architects completes this new terminal design.